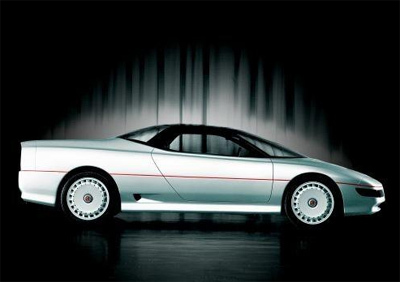 The MG EX-E concept of 1985 was unveiled at the Frankfurt Motor Show that year. The styling of the two-seat EX-E was inspired by race cars and the glass canopy was designed to immitate those found on fighter aircraft. 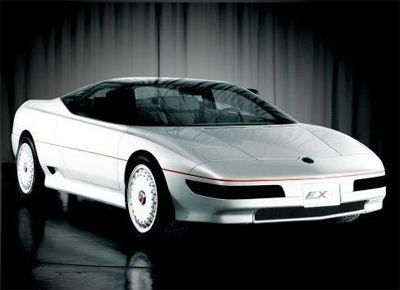 And while the angular lines look dated compared to modern sports cars, the EX-E was forward thinking and stylish for 1985. 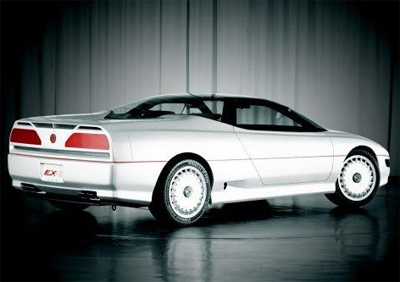 Under the plastic body panels of the MG EX-E concept was an aluminium chassis designed to receive the 3.0 litre V6 which had been developed for the insane MG Metro 6R4 rally car. However in reality the EX-E show car was just a show model and an engine was never fitted. 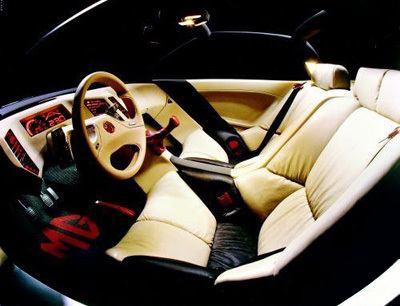 The interior of the MG EX-E featured a variety of innovative features including a heads up display which relayed vital information like engine rpm and speed. There was also a car phone mounted in the dash alongside a CD player and navigation system. While the MG EX-E concept never directly spawned a production model, the MGF which appeared in the mid 1990s owes its layout and some styling features to the EX-E concept.